Price from £2012 based on dry hire with up to 7 hours of serving time. 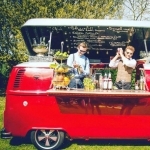 A quirky, cool and first class bar service that will bring an unforgettable fun feel to all events! 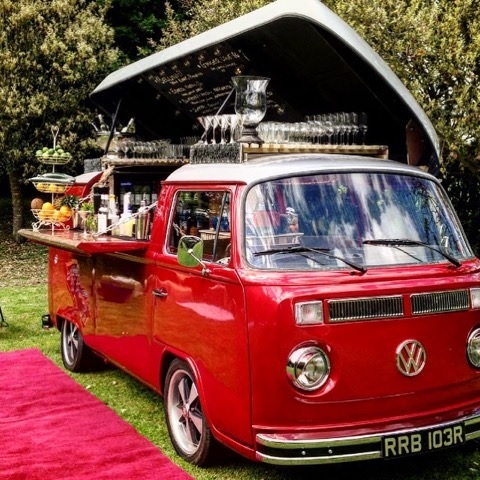 Let your guests drink from a bespoke menu, from delicious cocktails to craft beer, The Car Bar can tailor its stock to your needs! "The perfect addition to our party!" 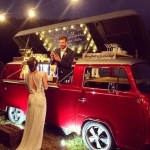 "Our guests all commented on the uniqueness of the bar and the great cocktails to..."
* A mobile bar within a beautifully converted classic 1978 VW camper! * Available with a range of hire options from a cash bar, dry hire or a token bar! * Tailor-made menu available include wines, craft beers, juices, cocktails, mocktails, spirits and more! 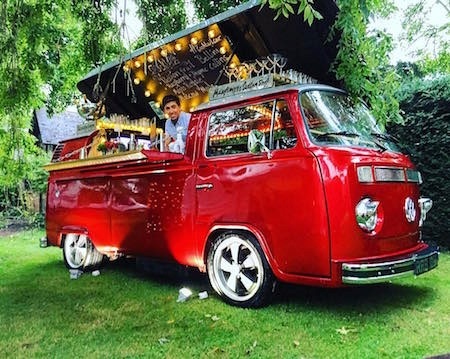 Let The Car Bar serve you and your guests in style! 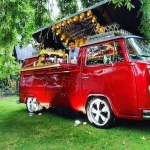 The coolest mobile bar around, The Car Bar is a beautifully converted classic 1978 VW campervan that will create a quirky statement at any party. 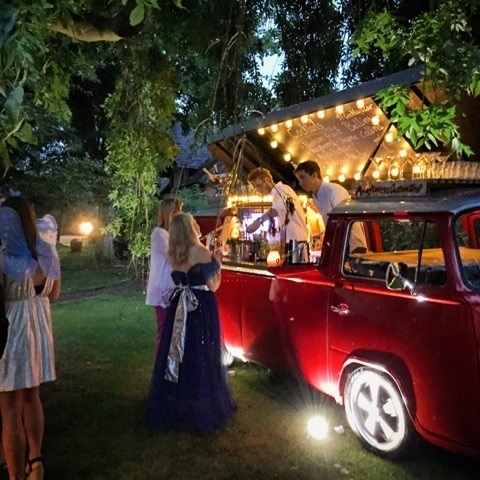 From weddings to festivals, parties and corporate functions, The Car Bar is a great addition to any event creating a fun and unusual talking point! You and your guests will drink from a handcrafted menu which can be tailored to meet your needs. 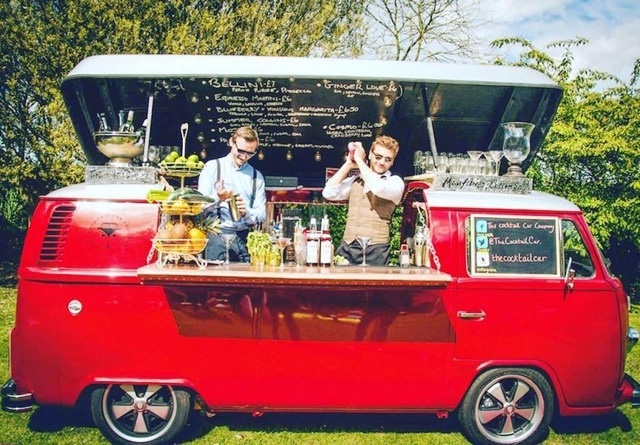 From experimental to traditional cocktails, a champagne bar, a juice bar or a selection of craft beers, The Car Bar’s stock is totally bespoke. Speak to your booking agent about your requirements and The Car Bar will to their upmost to accommodate.  Dry Hire includes 6 hours serving time with 3 staff. The Car Bar would provide the glassware, fresh homemade cocktail syrups and garnishes. You would provide the alcohol (as advised by The Car Bar). The Car Bar’s cash bar option includes up to 6 hours serving time, 2-3 staff (depending on number of guests) and a fully stocked bar that can include premium cocktails, mocktails, champagne, wine, spirits, bottled beers and ciders, milkshakes and soft drinks. Buy an array of tokens to treat your guests! At The Car Bar, beers/cider, wine and soft drinks costs 1 token and cocktails cost 2 tokens. The bar also runs as a cash bar (as above) for guests who have ran out of tokens. 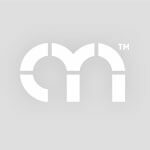 Please speak to your booking agent for a quote. The bar runs for up to 6 hours and includes 2-3 staff depending on guest numbers. 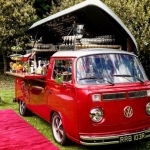 The Car Bar is a totally bespoke service that can be tailored to suit any size event. Whether you require a longer serving time or have an usually large number of guests attending your event, get in touch and The Bar Car will accommodate your needs.